On October 30th at 10:30 am our Director Cell Technology, Alfred Luitjens will give a presentation on Low-Cost, High Productivity Manufacturing for Vector Vaccines. 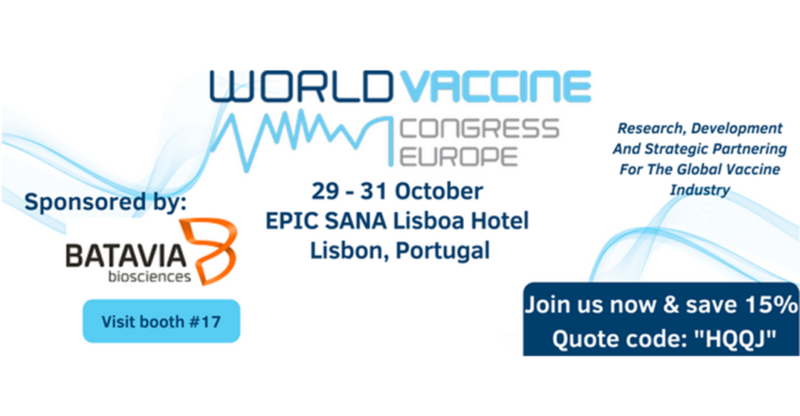 Visit the presentation to learn all about the latest advancements in production process intensification for vector vaccines. The talk is part of the Bioprocessing and Manufacturing track. Next to the presentation, our colleagues at booth #17 look forward to discuss how this production platform and our extensive viral vector knowhow and capabilities can benefit your project.